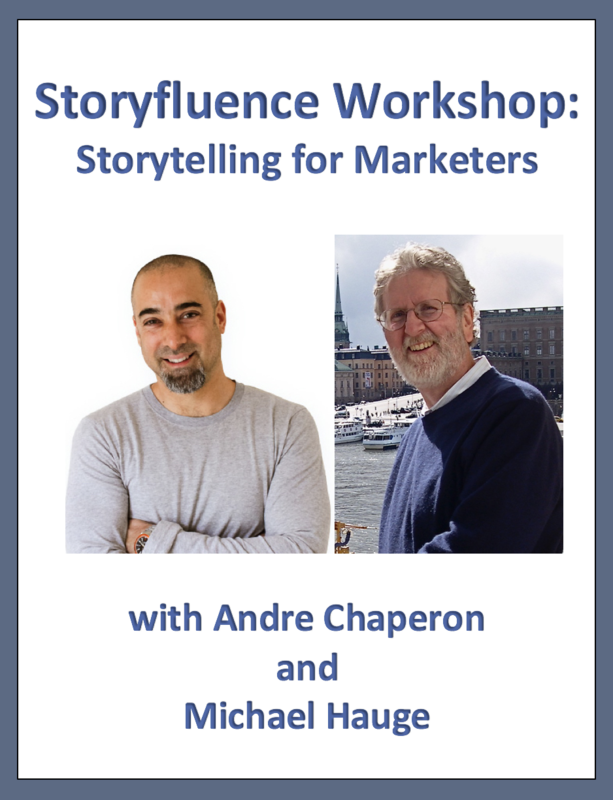 In this workshop you’ll learn how to tell your marketing story in the most IMPACTFUL way that elicits the most EMOTION, as well as create stories that you can use anywhere within your marketing funnel like: origin story, about page story, presell story, sales letter, VSL, stage presentation, and of course, emails. 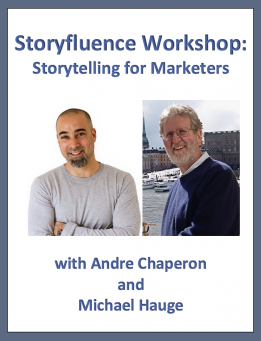 You’ll learn how to take your story (or the story of someone else), and communicate it in a way that elicits the most emotional impact in your reader (or viewer). These are “stories” that you can use anywhere within your marketing funnel like: origin story; about page story; presell story; sales letter; VSL; stage presentation; and of course, emails. 3 hours of core training, with alumni Q&A to help give real life context to what you’ve just learned. BONUS #2: A 43 minute private Skype recording between myself, Michael, Andre Chaperon, and Jack Born. BONUS: #3: PDF copy of Michael’s latest book, STORYTELLING MADE EASY: Persuade and Transform Your Audiences, Clients and Customers—Simply, Quickly and Profitably. You don’t need to be a master storyteller to produce a story that will blow your socks off! I’ve been using Michael for over 12 years now. One of my presentations that Michael helped me with has generated more than $10 million because the story framed the offer so well. I had over 2,000 affiliates making sales in 7 days because of the secret storytelling power we pulled out of Michael’s head. It wasn’t until I met Michael Hauge that I really started to understand story structure. When he spoke at one of our events and I first heard his six-step approach to story, I thought it was amazing. We incorporated his principles into our ClickFunnels software, which now has more than 50,000 active customers and creates millions of dollars a month in sales.